YouaregoingtoseetheRVina matterofdays,atlast.Asyouknow,therewereseveraltimeswhe nwethoughtitwouldgothrou gh,butobstaclesintervened.Intheinterim,theworldhaschanged.Wenowareinamuchbetterpos itiontohaveanorderlyandu ncomplicatedexchangefort hepeople,withoutworriesthattheban kswillbeabletostealyourb lessingswithhiddenfees,threatsandsecretsmallpri nt. Itistrulyanewday,BelovedOnes.EverywheretheLightisperm eatingthedarkness,inthecornerswheretheshad owshavelingeredforgenera tions.EvenintheMiddleEastwhere thedictatorsthreatenandp lottomaintaintheirpower,thepeopleonthegroundaren olongertakingthemserious ly.Therewillbeafewskirmishe s,thenpeacewillsettleupont helandonceandforall.Weareoverjoyedtoseethema nyplaceswheresoldiersare findingitlessandlessappe alingtofollowahotheadedd espotintobattle.Thenewswillnotbefoundony ourmedia,butIassureyouthattheconf lictsintheworldaredimini shing,andanewfeelingofhopehasb eguntospreadacrosstheglo be. Aroundtheworldyouarealso seeingchangesintheleader sofmajorpowers,whoaretakingnewinitiativ etocombineforcesagainstt hebankingCabalwhichhasha dastrangleholdonEuropean dtheUnitedStatesforhundr edsofyears.Unfortunately,therewillbeaninterimduri ngwhichmuchreorganizatio nwillberequired,anditmaycausesomeupsetin theAmericanpsychetofindt hemselveslaggingbehinddu ringtherestructuringoffi nancialandlegalsystems.Ifyouarepreparedbyknowin gthis,youwillrideitoutjoyfully ,withoutfear,andyouwillleadotherstodo thesame. Thisisacomplexanddelicat eprocess.Itisbeingorchestratedbeh indthesceneswithgreatcar eandconcernforthestabili tyofthecountrieswhichare nowreceivingajoltofreali tyasthedarksystemsarebei ngdismantled.Itisadifficultpositionfo rtheleadersofthe"freeworld"tohavetowalkthefinelineb etweenprotectingtheirpeo plewhowouldbethefirsttob eaffectedbyamajorshiftin thefinancialsystems,andpreservingthesystemwh ichkeepsthemajorityensla vedtothefewwhohavebeenin control. Asmuchaswearelookingforw ardtotheshiftwhichwillre turnthepowertothepeople,thesearetheverysamepeopl ewhowillbemostaffectedin theshorttermbyeconomicup heaval.Thoseinthemiddleandworki ngclasseswhomanagetokeep goingwithlittleinthewayo fsavingsorlong-termsecurityaremostvulne rable.Thisiswhyitissoimportant thattherevaluationofcurr enciesprovidethemeansfor Lightworkerstoofferabuff erwiththeirpersonalizede ffortstoprotectandprovid eforthoseinneedwhenthech angestakeplace.Thereisnogovernmentalage ncywhichcanprovideasquic klyandaspersonallywhenre alneedarises. Yes,itisyou,BelovedOnes,whowillstandasthesafetyn etforyourneighborsandfam ilymemberswhofindthemsel vesintemporarydifficulty becauseofthemassiveshift sandchanges.Youareresourceful,creativeandmostoriginali nyourabilitiestoactspont aneouslywithgoodwillwhen theoccasionarises.Yourattitudeofwantingsom uchtohelpoutandtobethere whenothersareinneedwillc ometofruitioninthedaysah ead.Youwillbecomethemainstay ofhappilyadministeredpro gramstobringgoodfood,shelterandgreatcomfortto thosewhoarefrightenedbyt hechanges-thosewhoknownothingabout theAscension,exceptthattheyhavebeenfe elingtheopeningupaswell. Itwillbesuddenlyeasierto accomplishthethingsthatw eresotroublesomeanddiffi cultinthepastbecauseofre dtapeandbureaucraticfoot -dragging.Thosewhoaresuddenlypower lesstohelportohinderthos ewhousedtobecompletelyat theirmercywillfindthemse lvesunseatedfromtheirpos itionsofpoweroverothers.Fromthesmallestmotorvehi cleofficetothelargestsoc ialservicesfacility,itwillbecomeclearthatabu reaucracywhichcreatesobs taclesfortheirclientsrat herthanservingthemdoesno tdeservetoexist. Yourleadershaveawiderran geviewofnationalandinter nationalconditionsthanyo udo,DearOnes,sinceyouarecompletelydep rivedofaccuratereportsfr omwithinyourowncountries aswellasfromabroad.Infact,thosereadingthesemessage sarefarmoreinformedofthe realconditionsintheworld thananyTVwatcher.Iwillgiveyouanexample. Ithasbeentheclevercampai gnfromthedarksideoverthe past40yearsorsotorevilee verythinghavingtodowith"government,"blamingbiggovernmentfora lltheills,debtsandproblemsinthenat ion.Thiswasacleverploytodefl ecttherageawayfromthemse lves,thesecretgovernmentwhich wassiphoningofftaxpayerm oneybythetrillionsofdoll ars,whileprogramswhichwouldp rovideforinfrastructure,educationandsocialservic esbecamethetargetofblame .Theirrealfearwasthatthos einCongresswhorefusedtok nuckleundertotheirbribes andtheirdemandsmightactu allybeabletostandbetween themandtheirprofits. Therehavebeencourageouse lectedofficialswhousedwh atsmallinfluencetheyhadt omakethepublicawareofthe disastrousmisuseoffundsa ndthetakeoveroftheelecte dgovernmentbythemanipula torsandpropagandagenerat orswholoudlyforcedthemse lvesintoeverydiscussion,everyattempttoplaceregul ationsorboundariesonthei rfreewheelinggreedandthe laissez-fairepolicieswhichprotec tedthem.IthastrulybeenasecretGil dedAge,unbeknownsttothegeneralp ublic,who,directedbythepropagandam achine,blametheirelectedofficia ls. These underhanded tactics are not new; they are howevernewly approved by the federal government under the name of freespeech for corporations and self-interest groups, which now havemore protection than individuals. In fact it is the individuals whoare the focus of these attacks who have the least in the way oftruth-finding support or the means to counteract theonslaught. Why do I bring these things to your attention? Becausethere are good people under attack in every area of​​ life, as thecabal plays out its last gasp. I have always been a defender ofTruth and one who stands for those who are most vulnerable. Now, the attacks have become more public, and therefore more widelyexperienced. A kind of numbness has allowed acceptance of the mostoutrageous manipulation of information and reinterpretation of"facts." The anonymity of the media and the internet have allowedan unprecedented veil between the accuser and the accused , to theextent that most libel and slander goes unaddressed anduncorrected. There is a rule of thumb which I want you to consider. Thebrighter the Light, the more resentment and bile is likely to bedirected toward that person. The goal is to cast doubt on theperson's integrity and credibility, and the more extreme theallegation, the more believable it seems. Beware, Beloved Ones,that you not be caught up in the lure of the outrageous. 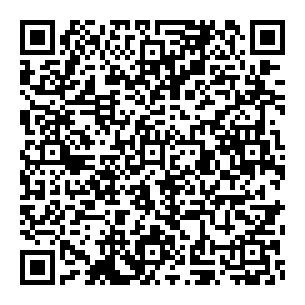 It is astrategy which has been used to great effectrecently. The more outlandish the "expose," the more it titillatesthe imagination and places the seed of doubt. For instance, Obamais a Muslim who was not born in the US There is proof, becausethe accusation has been repeated thousands of times. His wife isreally a man in drag. Photoshopped pictures prove it. A plane hitthe World Trade Center, because an animated video shows an airplanemelting into the building rather than actually hitting it. If it isshown enough times, with a voice-over describing something else,people learn to suspend judgment and believe what they aretold. How often have you been told that someone you initiallyadmired and trusted was actually a puppet for the cabal, or underthe influence of the dark side, or has lost their mind or theircourage or their heart? Here is what it means to use good judgment under suchcircumstances. (Judgment is not a bad thing, by the way. It doesnot make you mean or judgmental. It means you are making wisechoices. It is the effective use of intelligence and Heart.) First,free yourself from the prejudice against making a rea​​sonablejudgment; it is how you protect yourself andothers. Before you begin fact-checking or asking others whetherthey believe the accusation or innuendo, ask yourself: What doesthis person have to gain by invalidating the one they are pointingat? How much do they have to lose if they do not discredit theperson they are trying to tarnish in your eyes? Is there money atstake, or is it an issue of power? Why are they using a negativeapproach - disparaging the other - rather than demonstrating theirown skills and competence? And most importantly, why have you all, as a culture, cometo accept the negative approach to winning a point, or defeating anopponent? Why is it ever acceptable to accuse without evidence, toweave fantastical insinuations based on hearsay (which was onceinadmissible as evidence for anything)? You call it being tried inthe court of public opinion. It is no different from public stoningin the village square. It is a misdeed which should bring dishonorto the aggressor, not the accused. As we work with you from the Higher Dimensions to bring anend to the dark days of old, we are here to help you, you who willbe the creators of the new Planet Earth, to free yourselves fromthese contrivances of injustice, lest you allow it to hold you inlower vibration. If you have even once taken part in a gossip-festor a public trial by accusation, you must sit down with yourself,take yourself in hand, and reach deeply into your heart to askforgiveness of the one you have dishonored. Ask yourself if youhave contributed to the negativity by remaining silent, increasingthe energy of the attack by entertaining it in your thoughts, or byspreading the word, sending doubt and fear outward to poison trust,placing yourself in alignment with something dark anddestructive. There is a New Age device which is often used to cover upmeanness. A person sends a letter of insults, accusing their formerfriend of being a fraud, a cheat and a charlatan, then signs theletter with "I send you love, that you may be able tochange/awaken/see the light." This nonsensical juxtaposition isanything but loving. If you wish to send someone love, just send it from yourheart, with kindness and joy behind it, and say nothing. Do nottake it upon yourself to create pain - it will only drive theperson toward defensiveness if they are truly of bad character, orit will invite damage to the person of Light if they are innocent.You are not a God who condemns. Instead, be yourself. Your mostloving, kind and uplifting self. You have the power, Beloved Ones, to create or to destroy.You live still under the agreement of free will. You are thereforeadding your energy always to the Light or the Dark. Be aware, bemindful, be focused always on the highest and greatest good, whichis Love. I come to you as the one who has known injustice, and theone who has known God. It is now our time to turn the wheel fullcircle, to embrace our just and loving hearts, to fulfill ourdestiny as those who create anew, never to return to the dark ploysand ruses which intended failure of every endeavor, everyrelationship and every effort to rise up. We will overcome darkness by being Light; we will jointogether because we gain strength and joy from each other's Love.We will build our New World on a foundation of kindness, notconflict, divisiveness or war. Ours will be a labor of Love, andits fruits will be Unity. 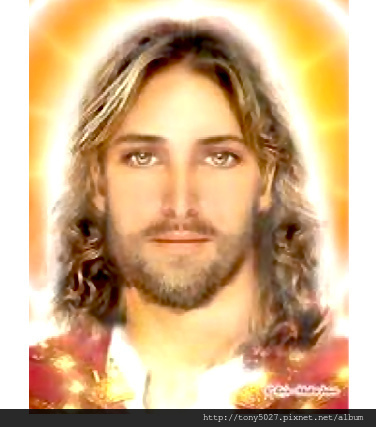 I am your Sananda, and Ispeak with my heart filled with Love and anticipation for thecelebration to come. Namaste, Dear Ones.